You might not know that the common white grub worm is actually the larvae of the June Bug / June Beetle. It is easy to recognize the grub worm from its creamy white color, distinctive “C” shape and length of approximately 1 inch. 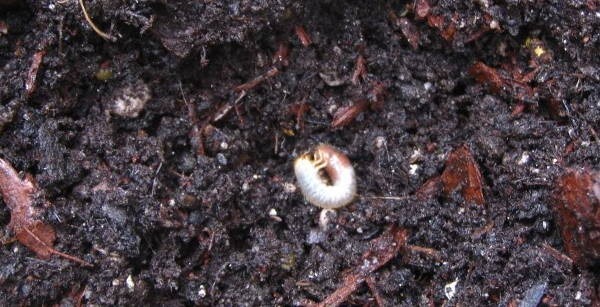 The grub worms hatch from eggs laid by female June Bugs in the summer. While their male cohorts are swarming porch lights, the females are digging a few inches into the soil and laying their eggs. The last of three stages of growth for the grub worm happens in the fall when they bury themselves for a long winter’s nap, only to pupate in early spring. Three weeks later, the grub worm has become an adult June Bug. It is during the third and final stage of grub worm development that the largest potential for crop damage exists. These hungry worms feed on the roots of everything from grasses to vegetables to ornamentals. One of the most effective and least dangerous methods for getting rid of grub worms is through the introduction of beneficial nematodes. These microscopic organisms are present in healthy soil all over the world, and they will go to work immediately to destroy your grub worm infestation. Beneficial nematodes are available in the form of a powder which is mixed with water and sprayed on the area of infestation. Once they come in contact with a grub worm, they release a bacterium that is toxic to the larvae, killing it in about 2 days. NOTE: Due to light sensitivity, you should apply beneficial nematodes at dusk for best results. Your search for “nematodes” did not match any news or information. I’m sorry for the misunderstanding, but the post doesn’t say that we have them in the shop at this time. It says that they “are available in the form of a powder”, which may explain the confusion. We will have nematodes up by the end of the day today. Thank for your writing in. An alternate way of applying beneficial nematodes is by mixing them with topsoil and sprinkling the topsoil around the base of plants. 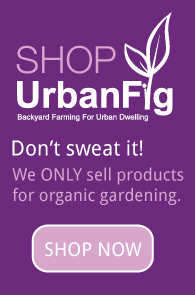 This is especially helpful when applying them to flower beds where a water sprayer cannot get directly to the ground.